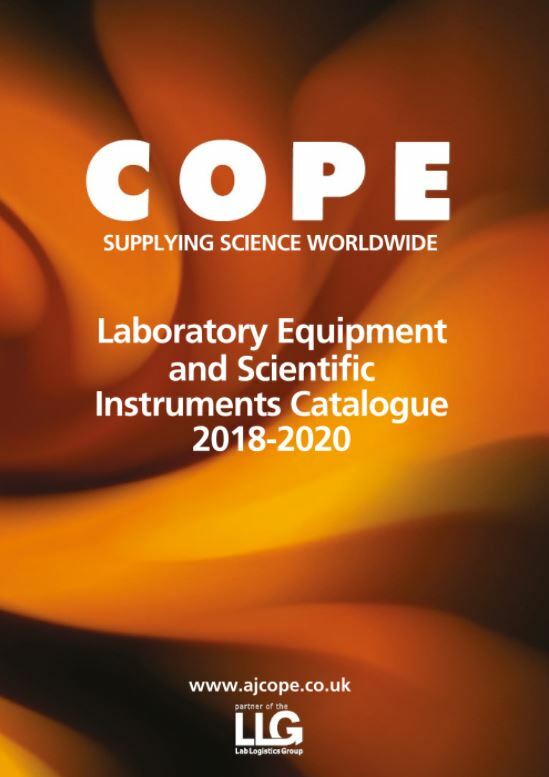 A J Cope & Son Ltd have a complete range of Laboratory Products, Equipment and Consumables for supply throughout the world. We offer a number of ways to access our product information. Our online web catalogue thelabwarehouse.com features the same full range of products as our page turning catalogue. thelabwarehouse.com allows customers to search and browse for products and displays upto date UK List prices. As a Lab Logistics Group Partner we are able to offer an alternative range of lab products via their catalogue. Available in either print or turning page E-Catalogue. Please contact our sales team to request your printed copy. Price Guides to accompany the Cope Turning page E-Catalogue and the LLG Partner E-Catalogue are available to download from our pricelists page. 2017 © A J Cope & Son Ltd. Unit 10, Cliffside Trade Park, Motherwell Way, Grays, RM20 3XD. Tel : +44(0)207 7292405 Fax : +44(0)207 7292657.